Keeping your stroller clean and in good shape is important. Having a good looking is stroller is also important. I have found the answer to BOTH those problems! Today I would like to introduce you to CityGrips: the best stroller accessory there is. Period. busycitymum at snoob.co.uk and get 10% discount. Why are CityGrips so amazing? 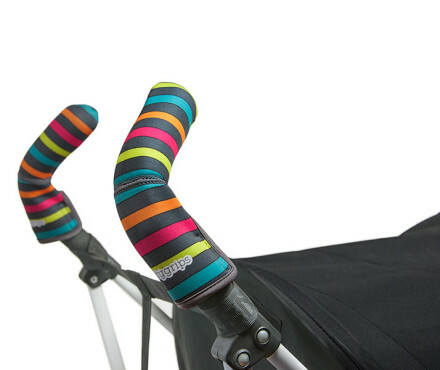 CityGrips protect your stroller handles from dirt and wear & tear. OK. What else do they do? What exactly are CityGrips Bar Covers? 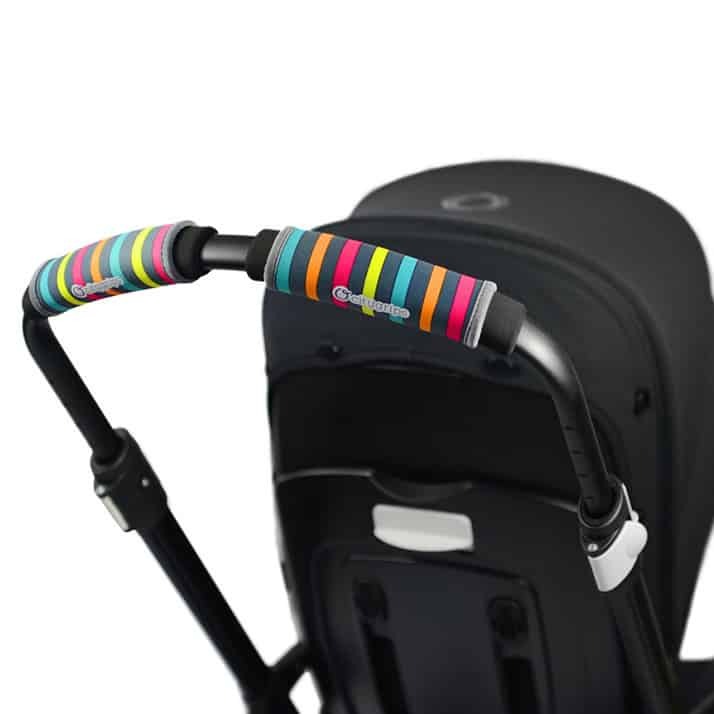 Choopie CityGrips are soft, stylish stroller grips that have a fashionable look while at the same protect the stroller from typical wear and tear. They slip easily onto the stroller handles and help keep your hands from becoming sweaty or grimy while gripping the handles. They attach easily by simply slipping them on and they can be machine washed to easily cleanse germs and dirt. Why use CityGrips Stroller grips? 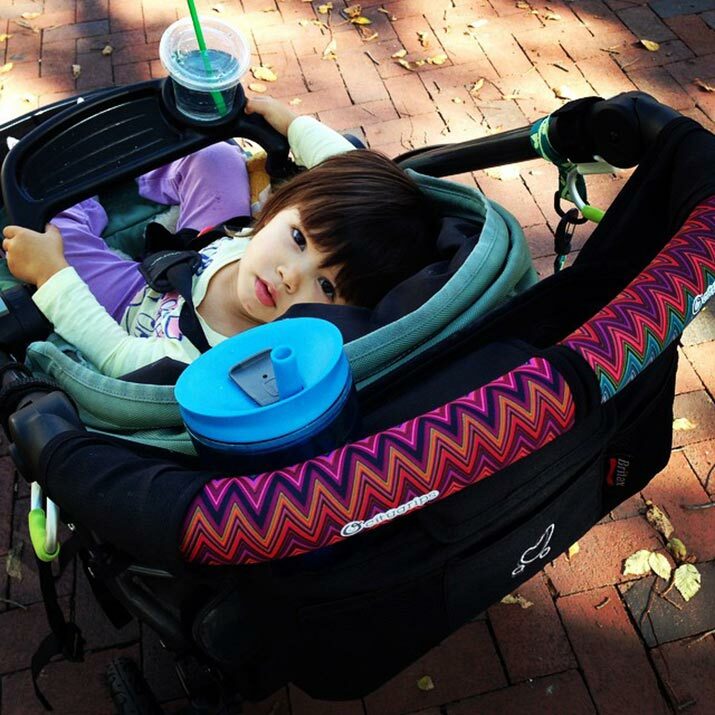 City Grip bar handles provide a cleaner and more comfortable stroller experience. It’s really that simple. Most stroller handles are rubber or hard plastic, causing hands to sweat and build up dirt and grime. With CityGrips your stroller feels soft and once they get dirty you clean them. This way no dirts builds up and you stroller handles stay clean. One of the best things about the CityGrips bar covers is the cute and stylish patterns they come in. Such designs come in a variety of colours, but include whimsical patterns such as sheep, stars, flowers, toy cars, polka dots, clouds, raccoons and more. The great thing about these fun and stylish patterns is that they really help you pick your stroller out of a crowd because they do really make your stroller stand out. How exactly do CityGrips make my stroller better? Who is the person behind Choopie? Choopie is a company started by a New York City mum, with CityGrips as its main focus. That mum was Camie Gontier. Camie was out pushing a stroller on a hot, sticky summer day and found herself grossed out by her equally sweaty, sticky stroller handles. She knew they had to be germ infested besides from pushing the stroller all about the city. So it came to her mind that it would be much nicer to have a stroller grip cover that was soft, comfortable, durable and also washable. When she could not find such a thing on the market, she decided to create her own. Upon creating the stylish, comfortable CityGrips, other mums begin to ask for their own. Camie then put her own 15 years of previous product development to use and created Choopie. Her new company mission statement is to create affordable, useful and stylish products that will make life easier for all parents. She has now expanded her company from CityGrips with the additions of stroller consoles, liners, bags and hooks. The Choopie company has expanded to have offices on both coasts of the United States, as well as in Europe and China. Where can I buy these beautiful stroller handles? The best place to buy CityGrips bar covers in the UK is Snoob’s website site http://www.snoob.co.uk/. Snoob is a company that was launched by Becky and Angelique in 2013 with their stylish breastfeeding scarves. Recently, however, they have expanded their business to sell other products directly through their site and started working together with other brands they think are funky, innovative and stylish. And we know CityGrips fit perfectly in that category. Snoob’s are know mainly thanks to their fantastic breastfeeding scarf but they also sell beauty products, such as Sister & Co’s Coconut Oil, and write on, wipe clean Educational Learning Mats. Reading comments on choopie.com gives you a pretty good idea of what CityGrips users think. They are not customers; they are fans! The city crips fit on most strollers and I can wash them!!!!!! Love them! On Amazon, CityGrips have currently a rating of 4.8 out of 5, which is pretty impressive. The product description on Amazon sums up what many mums must be thinking about their boring, old stroller handle grips. I for one often think just how dirty, sticky, worn and germ-infested the handles must be from daily use. Another major plus of using CityGrips to keep your bar handles clean is how easily you will be able to sell or give away the stroller when the handles are in perfect condition. Of course, CityGrips can also be washed so no more filthy, sticky handles. So are you ready to spice up your stroller and join the CityGrip fan club? I urge you to buy this truly amazing stroller accessory. You won’t regret it. Self Driving Stroller from Volkswagen – The future is here! Do you have handlebar covers to fit an icandy peach 3?